Vertical Skills Academy | Unique Students. Unique School. 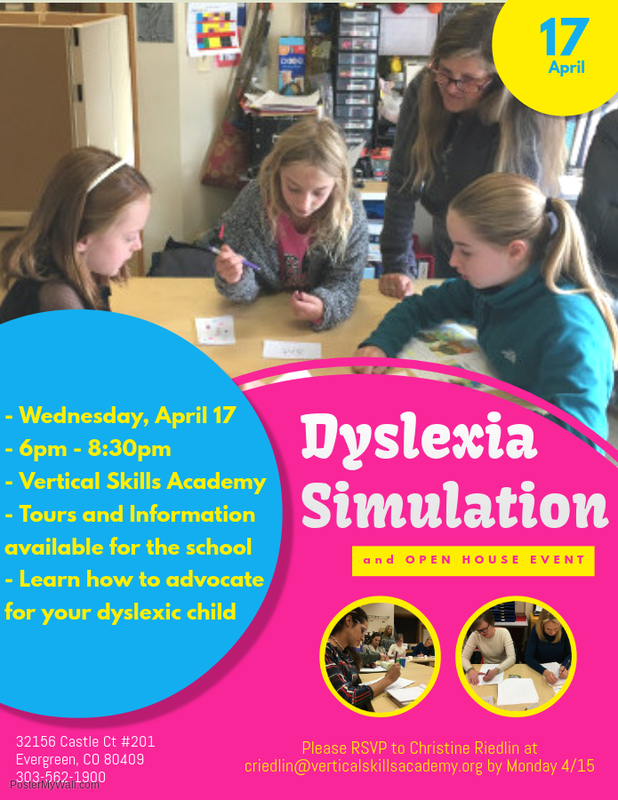 Our mission is to provide students with dyslexia a specialized learning environment where their strengths, interests and academic advancement are fostered. We serve a clearly defined population of bright students in grades 1st-8th. We teach specific skills to improve literacy acquisition and language application through data-driven, multi-sensory instruction. A school for intensified intervention for students with language-based disabilities. As a private school, VSA partially relies on donors to help bring in new students and offer financial aid to those in need. Donations can be made by clicking the link below and all donations to VSA are tax-deductible charitable contributions. Our fundraisers go directly to financial aid packages to help bring new students in to VSA. Please take a look at our calendar to see upcoming fundraisers! VSA is always looking for volunteers! Volunteer activities include assistance on field trips, fundraisers, and more. Please follow the link below to apply to be a VSA volunteer. When you log into Amazon through smile.amazon.com and choose Vertical Skills Academy as your charitable organization, Amazon will give 0.5% of the money from your purchase to VSA! We know that doesn’t seem like a lot, but it adds up. Every penny counts toward helping another dyslexic student get the supports they deserve!